This 302-acre urban infill development project is located in a previous rail yard site with over 10 million gross square feet of academic, research, medical , office, retail, and hotel development. This development is fully integrated with the Muni Third Street Light Rail line service and several freeway ramp interchange improvements. CHS Consulting Group President Chi-Hsin Shao has been involved in this project for over 30 years, beginning as the City’s lead professional durinig the initial planning phase. 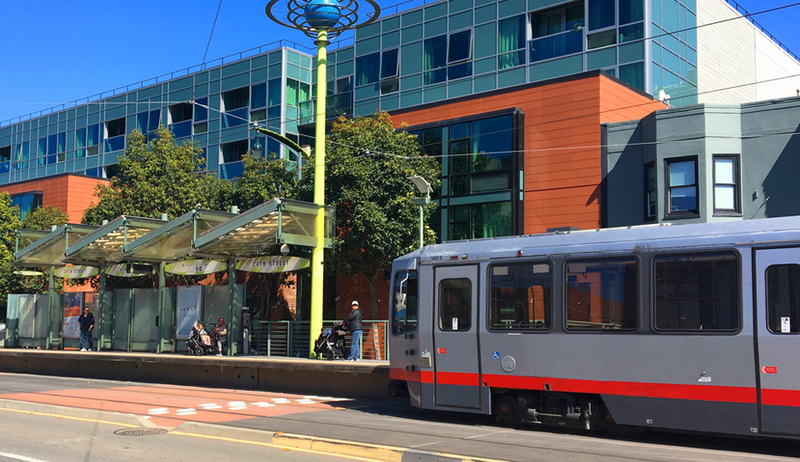 Over the past 15 years, CHS has worked closely with the University of California, San Francisco on transportation services to its new Mission Bay campus and evaluating its shuttle routes. CHS developed site plan level analyses for several Mission Bay blocks as part of several Major Phase Planning Studies. CHS has been serving as traffic engineer for the projects, providing traffic signal design, signing and pavement delineation design, and preparation of traffic control plans. CHS designed or modified a total of 24 signals and prepared signing and pavement delineation for 34 city blocks, as well as a roundabout at Mission Bay Drive and Berry Street. The 24 traffic signals include those along the LRT line on 3rd and 4th Streets, which require a signal priority system for the light rail trains. There are also at-grade Caltrain rail transit crossing at two intersections: 1) 7th and 16th Streets, and 2) Mission Bay Drive at 7th and Berry Streets. In addition, there are 3 I-280 Caltrans signals: one at the I-280 on- and off-ramps at King and 5th Streets, and 2 at the I-280 on-ramps and off-ramps at Mariposa Street.